Japan’s H-IIA rocket delivered the Telstar 12V communications satellite to a good Geostationary Transfer Orbit on Tuesday in the rocket’s first commercial launch and the first involving an upgraded second stage capable of conducting extended missions. Orbital data published later in the day shows the satellite close to the expected orbit, ready to begin the climb to Geostationary Orbit to start delivering high-capacity data services from the Americas to Europe and the Middle East. 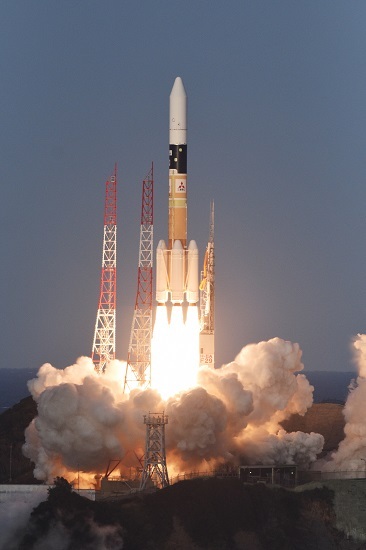 The H-IIA rocket made a thundering liftoff at 6:50 UTC on Tuesday, using its most powerful configuration with four Solid Rocket Boosters attached to a two-stage stack giving the vehicle a liftoff thrust of 1,035 metric-ton-force. 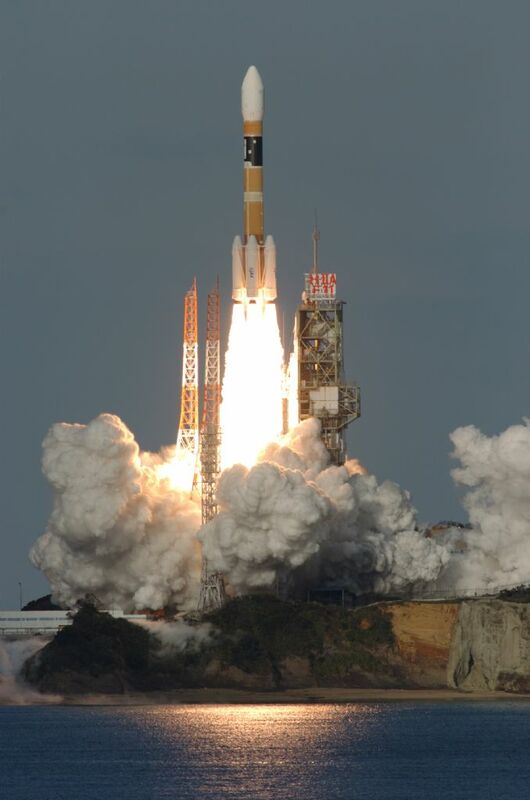 The typical scream of the H-IIA was heard across the picturesque Tanegashima Space Center as the 53-meter tall rocket made its south-easterly departure. The four booster burned out one minute and 50 seconds into the flight and were jettisoned in pairs just after the T+2-minute mark. Heading uphill powered by the LE-7A engine of the core stage, H-IIA quickly left the dense atmosphere, making it safe to jettison the protective payload fairing three minutes and 25 seconds into the flight. The first stage shut down its engine six minutes and 40 seconds into the flight and separated from the second stage eight seconds later. After another ten seconds, the LE-5B engine of the second stage was ignited and soared up to a thrust of 14 metric-ton-force for its first burn. The upper stage fired for four minutes and seven seconds, successfully placing the stack into a slightly elliptical Parking Orbit. Next was a coast of 11 minutes to set the stage up for its second burn, occurring around the equator crossing so that the apogee of the orbit would be placed above the equator as well. Re-starting at T+22:48, the second stage fired its engine for three minutes and 50 seconds, raising the apogee of the orbit to over 33,000 Kilometers. 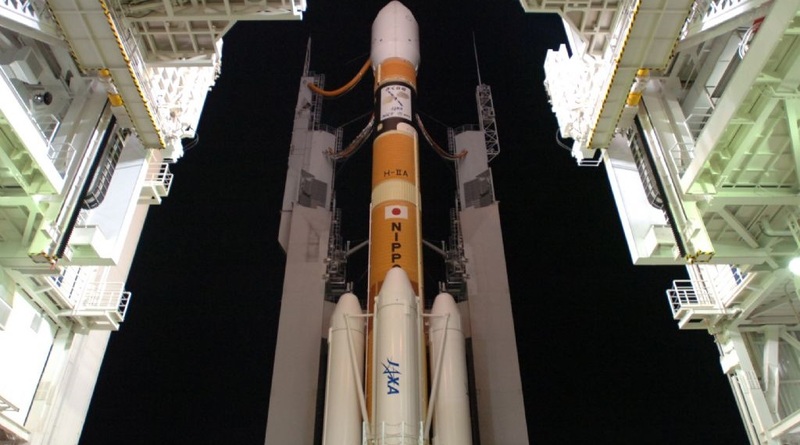 Afterwards, H-IIA again went into coast mode, this time for three hours and 56 minutes, taking advantage of modifications made to the second stage to support this extended coast – managing the cryogenics onboard the vehicle and limiting propellant boil-off. The LE-5B engine re-ignited four hours and 22 minutes into the flight for a burn of 44 seconds at the 60% thrust setting of the engine to raise the perigee of the orbit and reduce the orbital inclination. Published target orbit parameters were 2,700 by 36,585 Kilometers at an inclination of 20.1 degrees. Telstar 12V was sent on its way four hours and 27 minutes into the mission. 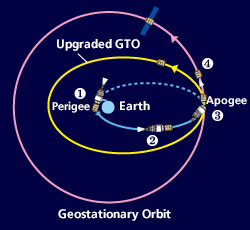 This orbit shows a smaller inclination and lower apogee than the published target orbit – likely in an intentional trade between inclination and apogee altitude that was not reflected in the published target orbit. After spacecraft separation, the second stage of the H-IIA rocket conducted a collision avoidance maneuver and vented its cryogenics tanks to enter a passive state in a graveyard orbit. The venting of the stage, at the time positioned over 35,000 Kilometers above the equator, was widely seen from locations across America. 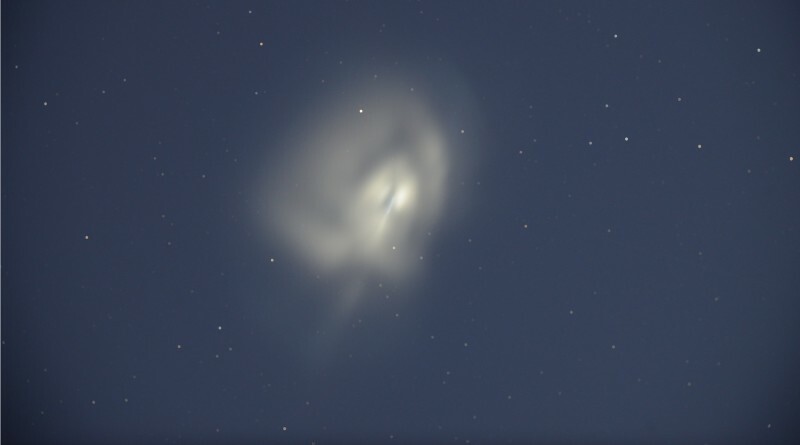 Observers in Nevada, Arizona, New Mexico and neighboring states posted photos of the illuminated cloud of propellants expanding around the second stage. 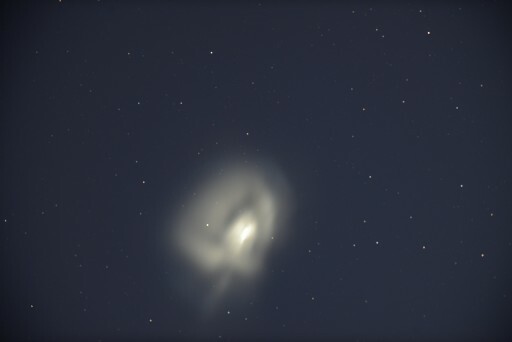 The cloud lingered for around half an hour starting around 11:40 UTC before dissipating. In the coming days, Telstar 12V will start its climb to Geostationary Orbit. 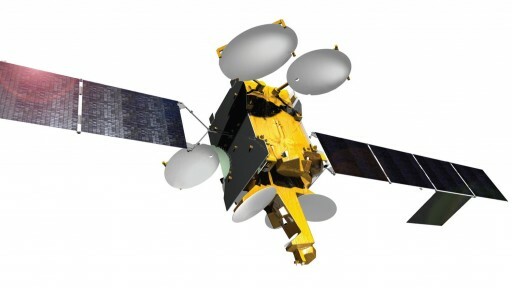 Telstar 12V will take a spot in Geostationary Orbit above the Atlantic Ocean to deliver expanded coverage for television broadcasters and mobile users from Latin America to Europe and the Middle East. The contract for the launch of Telstar 12V was signed between Telesat and H-IIA operator Mitsubishi Heavy Industries in 2013 shortly after Telesat ordered the spacecraft from Airbus Defence and Space. This marked the first contract for a dedicated commercial H-IIA flight. Telstar 12 Vantage has a launch mass of 4,900 Kilograms, based on the flight-proven Eurostar-3000 satellite platform. It hosts 52 Ku-Band transponders that combine broad coverage beams and spotbeam communications to achieve flexible data services. The combination of broad regional beams and more focused high-throughput spotbeams offers enhanced performance for broadband networks on the ground, in the air and at sea.